Senator Bradford’s Turkey Giveaway Provides Over a Thousand Turkeys to Families in Need. SACRAMENTO ­– Yesterday morning, Governor Gavin Newsom announced he will impose a moratorium on the state’s death penalty, granting reprieves to all 737 inmates on death row and closing California’s execution chamber during his time in office. SACRAMENTO ­– Yesterday, Senator Bradford honored Ms. Michelle Smith-Ballard, as the Woman of the Year for the 35th Senate District. Ms. Smith-Ballard currently serves as the Vice President of Community and Citizenship for Turner Construction Company with over 38 years of construction experience. She is responsible for the diversity outreach program on the construction of the new, state of the art Los Angeles Stadium and Entertainment District at Hollywood Park in Inglewood where she is overseeing one of the largest diversity and local hire programs in the region. 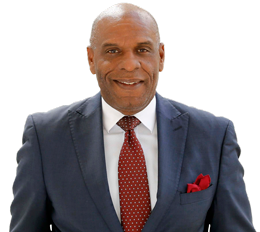 SACRAMENTO ­– Yesterday, Senator Steven Bradford (D-Gardena) was appointed Chair of the newly formed Senate Select Committee on the Status of Boys and Men of Color. The Select Committee will examine the challenges currently facing African American, Latino, Native American and Asian/Pacific Islander boys and men in California, and will focus on developing strategies that yield positive outcomes. SACRAMENTO ­– Monday afternoon, Senator Steven Bradford (D-Gardena) recognized Mrs. Ozie B. Gonzaque as his 2019 Unsung Hero, an annual award given out by members of the California Legislative Black Caucus (CLBC) during Black History Month. Members of the CLBC honor their esteemed guests on the Senate and Assembly floors, presenting them with a framed resolution for their work and accomplishments in the community. SACRAMENTO ­– On Sunday Governor Brown signed Senate Bill 978, authored by Senator Bradford (D-Gardena), which requires local law enforcement agencies to post their current policies, procedures, and training materials on their department websites.